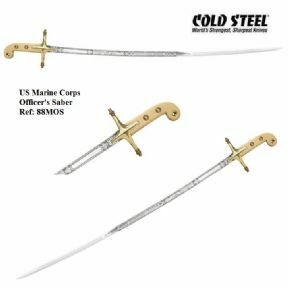 While we heartily approve of our Armed Forces wearing dress swords and sabres, we thought it was a shame that only unsharpened, poorly tempered wall hangers made of weak stainless steel are all that's available. The only real changes we have made are to drastically improve their performance as weapons by forging them from 1050 Carbon Steel and properly heat treating them to a tough spring temper before sharpening. 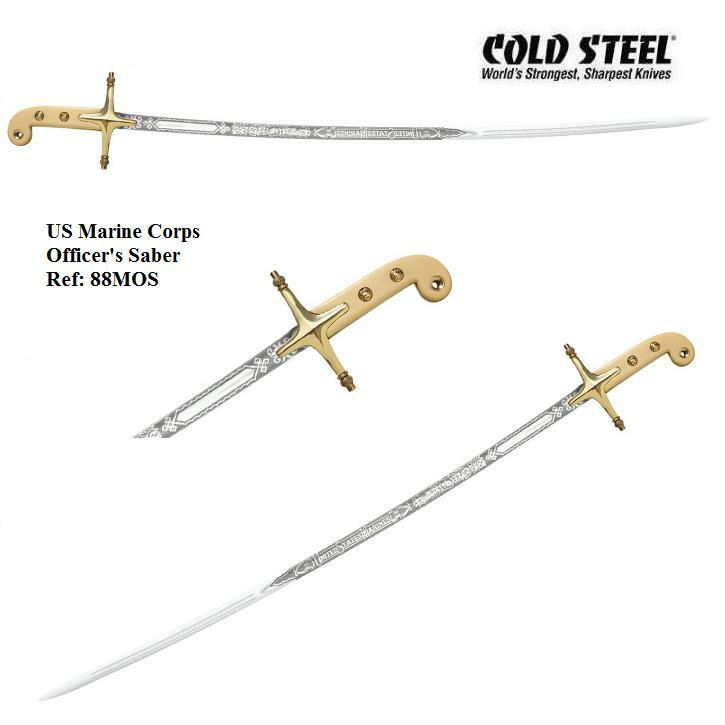 In the case of the Marine Corps Officer's Sabre, we have changed the hilt to solid mirror polished brass (not easily worn gold plate) and improved the attachment of the tang to the hilt so it could better withstand the rigours of sword to sword combat. I have been a blade collector since 1959 I am now 73 & have had many over the years most of them originals,the Cold Steel officers Sabre is a very well made modern sword, etching is nice & deep , Finnish to the blade was excellent till it was sharpened & badly scratched but very sharp. I have a very good buffer so I can repair the damage, My opinion is this was made by Windlass in India who's products are usually 1st class.